Whether you’re waiting on line at the grocery store or sitting in traffic, you know that expecting to wait is inevitable. It’s usually not a huge deal—unless you have a toddler with you. Your toddler will likely become upset, loud and whiny at the shortest holdup, before they have a cringe-worthy meltdown. 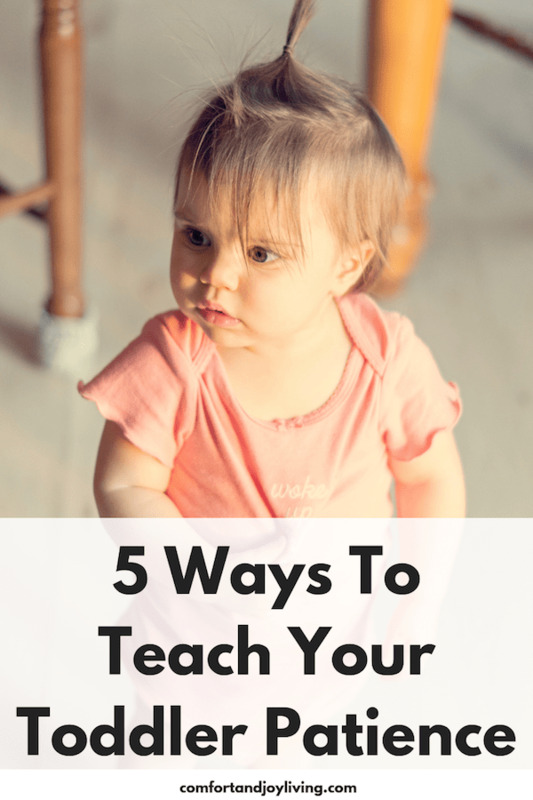 If you have had too many similar moments with your child, I am offering some simple techniques that you can use to help your toddler develop patience. Though you may have to do it repeatedly, it is possible to teach your toddler the meaning of patience. Come up with a short and simple definition of patience, such as “Patience is waiting quietly and not getting upset.” Come up with something your child will understand and stick with that definition. Repeat it as often as necessary so your child will understand what is expected of them. While you may hope that your toddler will exhibit patience when you really need him to, certain times may be more difficult for him than others. Try to avoid requiring your child to be patient when he’s hungry, tired or sick. And as you’re teaching your child patience, remember to have some yourself. It can be a challenging lesson for your child and it requires some patience from you. At this stage, kids have no concept of time, so we need to make it easier for them to comprehend. When they need to wait for a specific amount of time, use a timer. Use a kitchen timer or anything that is tangible to help them when you ask them to wait. When your child does wait patiently, make sure to praise him for a good job. Once your child sees your pride in his patience, he will want to exhibit it even more. Do you have any tips for teaching toddlers on how to be patient?